Petura is located along the Gaza–Hebron road, c. 2 km east of Tel ‘Erani (Qiryat Gat). The ancient name of the site remains unknown. It was first recorded by S. Lander. A survey on behalf of the Trans-Israel Highway was conducted by Y. Haimi. 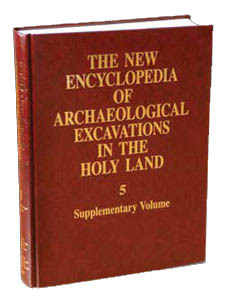 Excavations were conducted from 2002 to 2005 by the Israel Antiquities Authority under the direction of Y. Baumgarten, A. Gorzalczany, and A. Onn. The site today covers an area of nearly 4 a., roughly half of which had been excavated by 2005. THE POTTERY NEOLITHIC B PERIOD. Neolithic remains were found in area D, stratum 8. The size of the settlement during this period is unknown. While no building remains were encountered, flint artifacts, including sickle blades and arrowheads, and pottery, including bowls and burnished jars with painted brown/black geometric decoration, were recovered. A fragment of a female figurine, similar to ones known from Ḥorvat Minḥa and Sha‘ar ha-Golan, is white slipped with a dark brown or red painted decoration typical of the contemporary pottery of the southern area of the Land of Israel.